Welcome to Westside Surgical Hospital & Breast Center, where we take your care personally, and it shows. We are committed to ensuring that your upcoming visit meets and exceeds your expectations for exceptional care. Please review and follow the steps outlined below to ensure that your visit with us will be as relaxing and seamless as possible. Make sure you know what your expected financial responsibilities connected to your procedure will be. If you are not sure about your financial obligation, please take the time to clarify any questions or concerns about the coverage allowed by your health plan. You may contact our Insurance Department and speak with one of our specialists Monday through Friday for your insurance-related questions or concerns. For detailed coverage information, you may wish to contact your insurance provider directly through the phone number listed on your insurance card. Review the pre-surgical instructions provided by your physician. Your doctor’s instructions will request that you do not eat, drink or smoke after midnight the night before your surgery. You may be asked not take vitamins, supplements or your regularly prescribed medications since some medications are known to induce bleeding or are known to cause complications. It is important that you review your medications and any supplements you are taking with your pre-operative nurse on the day of surgery. Make sure to bring your photo ID and health insurance card on the day of your surgery. Plan to wear comfortable, simple clothing to the hospital. Do not wear any makeup or jewelry. Contact lens wearers should bring a contact lens case and a pair of glasses. If your surgery requires an overnight stay, bring an overnight bag with a change of clothing and any toiletries you might need. Medications, such as painkillers, antibiotics and antivirals, may be ordered and picked up at the pharmacy prior to your surgery so that you may take them when you get home. Please do not bring valuables to the hospital. Finally, make sure that you have designated a caretaker or driver to drive you to and from the hospital on the day of surgery. 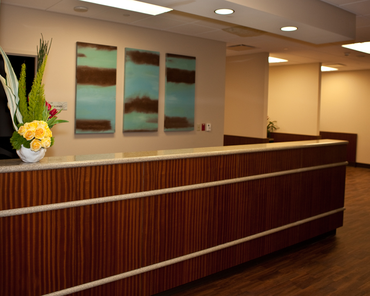 Our Concierge and Admissions team is prepared to provide you with exceptional service on the day of your surgery. Please arrive at the hospital one hour before your scheduled surgery. When you arrive, a valet will park your vehicle and direct you to an admissions/concierge representative, who will help you fill out your admissions paperwork and prepare you to be admitted. You will be asked to provide your picture ID and insurance information. Please do not hesitate to ask our representatives any questions about your health plan coverage at this time. Once your paperwork is complete, you be asked to wait in a comfortable lounge area until the pre-operative nurse calls your name to start your preparation for surgery. Your nurse will direct you to a changing area where you will change into your surgical gown. You may store your clothes and personal items in a private locker. Next, you will be taken to the pre-operative area, where the nurse will review your chart and perform necessary pre-surgical health checks. Your physician and your anesthesiologist will visit you prior to surgery to discuss your anesthesia plan and answer any of your questions and concerns about your anesthesia and the procedure itself. Upon completion of your surgery, you will be moved to our Post-Anesthesia Care Unit or PACU where our skilled post-operative nurses will oversee your post-surgical recovery. Family and friends may be allowed to visit while you are being closely monitored. When it is safe to move you, outpatients will be prepared for discharge, and inpatients will be prepared for admission to the Inpatient Department for their overnight stay in a private room. 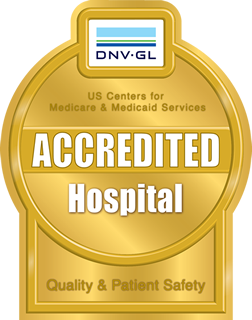 Our inpatients receive care by our staff, including our nurses, technicians and physician hospitalists. Once you have received a discharge order from your physician, you will receive important information regarding your post-surgical care. Please make sure to follow these instructions carefully, including any guidance on your pain management and medications. Please arrange for someone to drive you home following your discharge from the hospital. Having someone drive you ensures your safety between the hospital and your home. If a driver is not available, please contact our concierge in advance of your procedure so we can help you locate a driver. If you do have any further questions about your surgery and your post-surgical care, please contact your physician’s office for more information.